Dr. Roger Oldham offers microdermabrasion at his Bethesda, MD, practice as a noninvasive treatment to rejuvenate the skin. This deep exfoliation reduces the appearance of lines, age spots, blemishes, and scaly skin. It can also clear clogged pores. Meanwhile, microdermabrasion prompts collagen production in the skin to create a more youthful, radiant complexion. During a consultation, Dr. Oldham can determine if this procedure is the right way to achieve your goals. Microdermabrasion can give you smoother, healthier skin, and can provide long-lasting treatment when coupled with proper skin care routines. Dr. Oldham and his skilled team can educate you on healthy skin care and choosing the right products for your skin type to help preserve your microdermabrasion results. Microdermabrasion may not be a suitable treatment option for patients suffering from rosacea, psoriasis, fragile capillaries, warts, open sores, lupus, uncontrolled diabetes, or susceptibility to cold sores. However, Dr. Oldham may be able to recommend alternative skin treatments if any of those conditions are present. 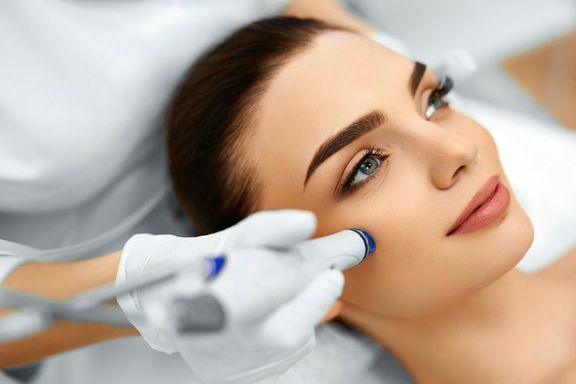 During your consultation, Dr. Oldham will review your medical history, assess the condition of your skin, and take note of your goals to determine if microdermabrasion or another skin treatment is the best way to provide the results you desire. During your microdermabrasion session, Dr. Oldham's aesthetician will use a handheld device that gently exfoliates as it is moved across your skin. You may notice a mild scratching or vibrating sensation, but the treatment is painless. The device will exfoliate the top skin layer while a suction mechanism attached to the wand will remove the dead skin cells. Though your skin may have a pinkish hue right after the procedure, this effect recedes rapidly and there is no downtime associated with treatment. Depending on your goals and the condition of your skin, multiple sessions will be necessary to achieve your desired results. If you are interested in a healthier, more vibrant complexion, microdermabrasion may be a good option for you. During your consultation, Dr. Oldham can examine your skin to determine how many microdermabrasion treatment sessions you will require, and may recommend additional treatments or products to help you achieve lasting results. Contact our office today to schedule your consultation.